There is no better way to get your merchandise into the hands of your employees or consumers than through a company store. Whether you want to provide a consolidated merchandise selection to a nationwide sales force or just let the experts manage your company’s merchandise closet, we can develop a solution to meet your needs. Instead of being managed by a busy account executive, your Signet company store is managed by a dedicated team of merchandising and purchasing professionals, just like retail. This means that your store will never be merchandised and then forgotten. Our team works daily to manage inventory levels and keep merchandise fresh and on trend. Our backorder rate is less than 1% and that’s thanks to our attention to detail. 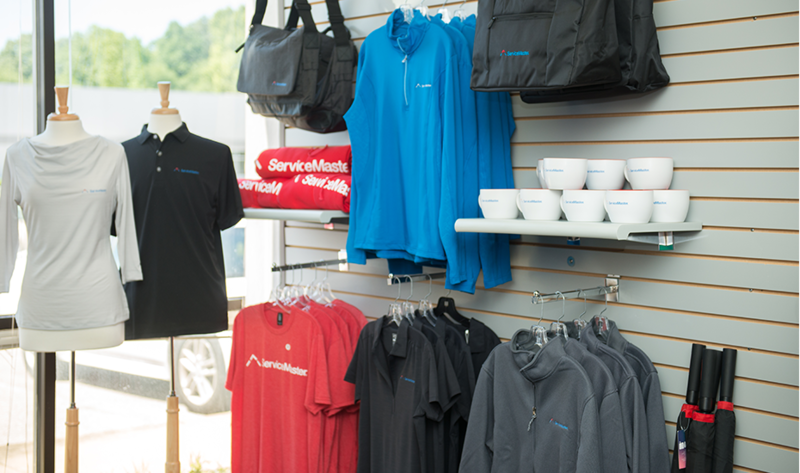 Give your employees a brick-and-mortar experience where they can shop branded merchandise with a pop-up store at your company or special event. Our team will travel to your office or destination venue and set up a store that can operate for multiple days or just a few hours. There’s no better way to spread the brand love. Sign up and be the first to know about innovative new products, news and tips for promoting your brand.